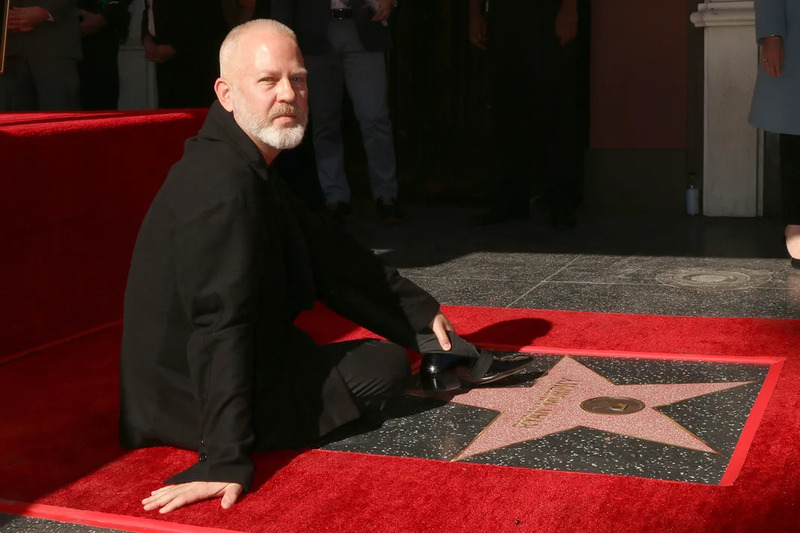 American screenwriter, director, and producer Ryan Murphy was honored with a star on the Hollywood Walk of Fame on Tuesday, December 4th, 2018 in Hollywood, California. Best known for creating/co-creating Glee, Nip/Tuck, and American Horror Story, Murphy also directed the 2010 film adaptation of Eat, Pray, Love and the 2014 HBO film adaptation of The Normal Heart. Brad Falchuk, Gwyneth Paltrow, Sarah Paulson, Jessica Lange also attended the ceremony honoring Muprhy.